Simmons Foods Inc. and Affiliates remains in the No. 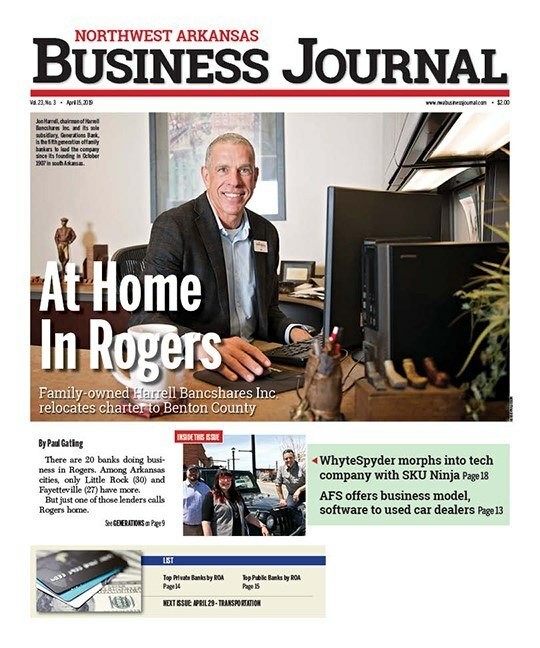 1 spot on the Northwest Arkansas Business Journal’s annual list of largest private companies. The Siloam Springs-based company’s revenue to $1.45 billion in 2016, up 2% from the previous year. Companies on the list are ranked based on 2016 revenue. The companies included on the list but haven’t provided relevant information are not ranked. Overall, the combined revenue of the ranked companies increased 2.01% to $4.99 billion in 2016, from $4.89 billion in 2015. Altogether, the companies added 1,078 employees, and now employ 25,147 employees. Since 2011, Simmons Foods has been in the top spot, and its revenue has risen 40%, from $1 billion. The company has 5,800 employees, down from 6,085 in 2011, and flat over the past two years. The company is wrapping up construction on its feed ingredients plant, which is expected to open in mid-2017. The 72,000-square-foot wet ingredient facility in Siloam Springs will be the first of its kind for the company, producing meat ingredients primarily for pet food manufacturers. Simmons Feed Ingredients, a business segment of Simmons Foods, will operate the facility. In the past year, the company with the biggest percentage rise in revenue was Multi-Craft Contractors. The Springdale-based company’s revenue increased more than 40% to $112.5 million. It also added 119 employees, and now has 704 employees. Washington Regional Medical System of Fayetteville had the largest increase in employees, adding 407 employees. It now has 2,725 employees. Its revenue rose 10% to $357 million in 2016, from the previous year. The rise led the company to No. 5 on the list. The nonprofit healthcare company, which operates Washington Regional Medical Center, recently announced leadership changes. Terry Fox, the former director of marketing and public relations, retired in February, and Rachelle Younce was named director of public relations and provider development. Last year, William “Bill” Bradley announced he would retire as CEO of Washington Regional in mid-November. On Sept. 1, Larry Shackelford will become CEO, and Bradley will become CEO emeritus to help ensure a smooth transition for Shackelford. Another company making changes, Kimbel Mechanical Systems saw its revenue rise 15% to $76.3 million in 2016. The mechanical and electrical contractor recently relocated its corporate headquarters to Fayetteville, from Springdale. It also added 18 employees, and now has 251 employees. At No. 2 on the list, poultry company George’s reported its revenue remained flat at $950 million in 2016, from 2015, and added more than 100 employees. It now has 4,800 employees, the second most on the list. Coming in at No. 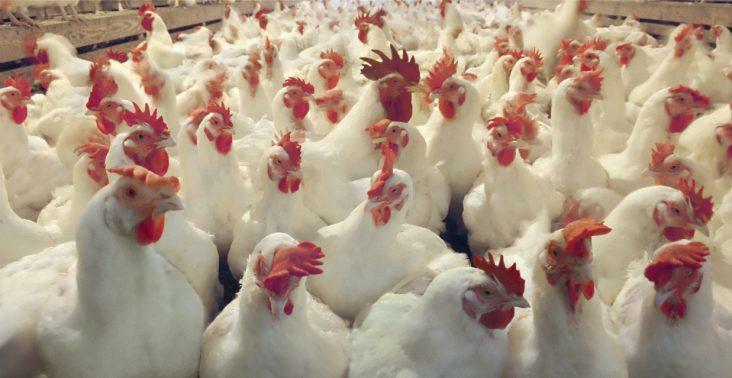 6, Ozark Mountain Poultry’s revenue rose 12% to $280 million. The Rogers-based company recently started offering non-GMO products in its Forester Farmer’s Market brand products sold at Sam’s Club. Revenue for electric companies, Carroll Electric Cooperative and Ozarks Electric Cooperative, rose 5% to $176 million and $129.7 million, respectively. Berryville-based Carroll Electric added 2,000 customers over the past year, and now has 96,000 customers. Fayetteville-based Ozarks Electric added 5,000 customers, and now has 74,000 customers. Fayetteville-based Adventure Subaru recently doubled the size of its car dealership, expanding to more than 10 acres, from about 5 acres. It added a used car building and a detail building along with 24 employees over the past year and now has 89 employees. Two companies reported revenue declined by 2% in 2016: Harps Food Stores and Tankersley Foodservice. At No. 3 on the list, Springdale-based Harps had revenue of $692 million, and Van Buren-based Tankersley had revenue of $141 million. The latter company fell one spot on the list, while flexographic printer Packaging Specialties jumped up to No. 8. Link here for a PDF of the list.